The development of culture, the progress of science and technology can be seen from the bit by bit in life. These excellent technologies have been used in large amusement equipment, really brought us a lot of joy. These are progresses and leaps of human civilization time after time. Every thing is basically the same course of development. As a kind of amusement equipment products, large playground equipment has common characteristics as the development of human civilization. Under long-term human exploration and unremitting research of mankind, the human civilization has expressed so much potential, most of which are dreams in the past time and now have achieved one by one. What is the potential for the large playground equipment and what kind of freshness and pleasure that it can bring to us? All these depend on the strength of designers and manufactures. 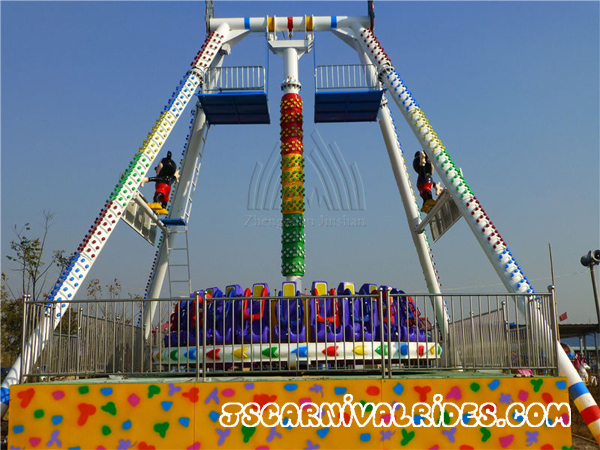 As the large playground equipment is the result of science and technology, so as long as there is greater breakthrough in science and technology, there will also have a great breakthrough of the large amusement equipment and improvement of all aspects of performance. Especially for entertainment and security, we will certainly be able to do better as long as we work hard.